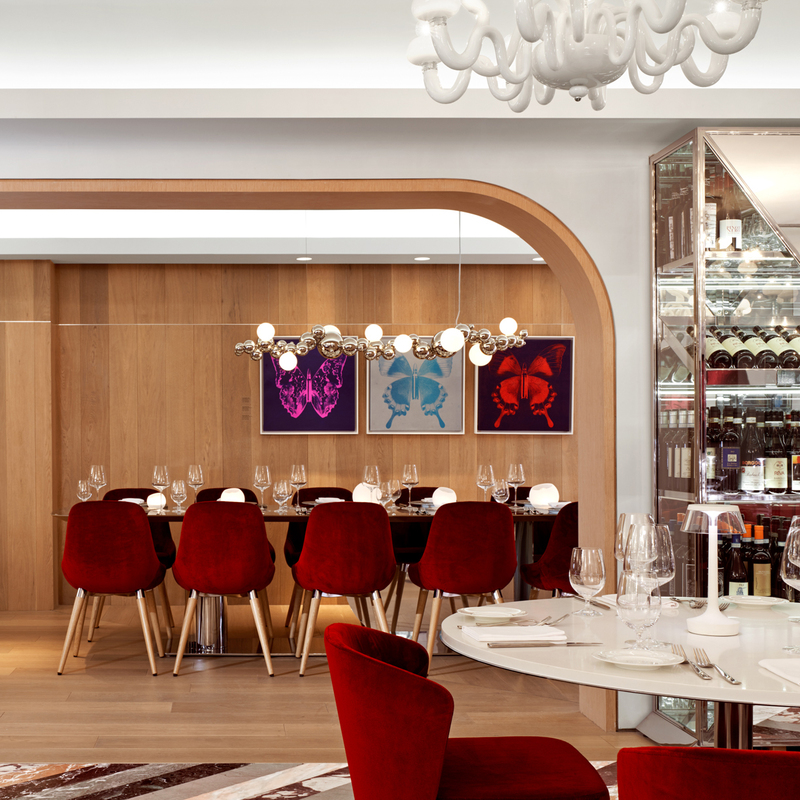 Among Yorkville’s lifestyles of leisure comes an artistic journey through imaginative design. Sofia, with her bold contrasts of colour and form, is a culinary experience for those with a taste for the modern and the unexpected. Exploring the depths of Italian cuisine, Studio Munge imagined Sofia as a curated tale of one’s exclusive residential estate. The property, partitioned into uniquely fashioned spaces, greets the clientele in the front foyer- a prism of high-contrasts which sets the tone of what has yet to come. The lounge features a circular bar wrapped in rich merlot leather, surrounded by sapphire banquettes and black chrome accents. 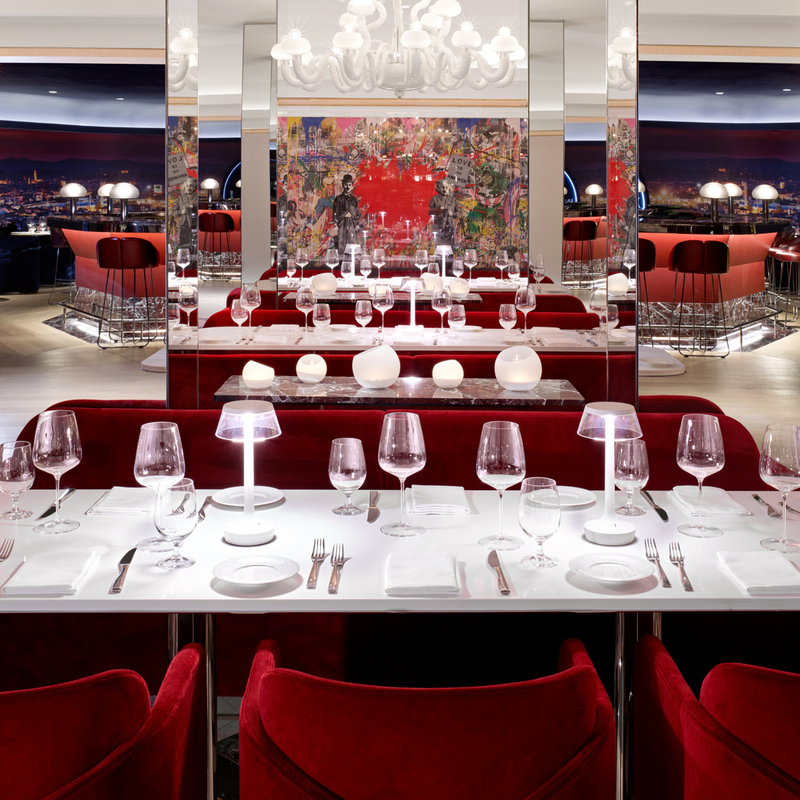 The main dining room is defined by dazzling mirrored columns that infinitely reflect glass chandeliers, crimson fabrics, and brilliant white walls adorned with renown contemporary artwork. 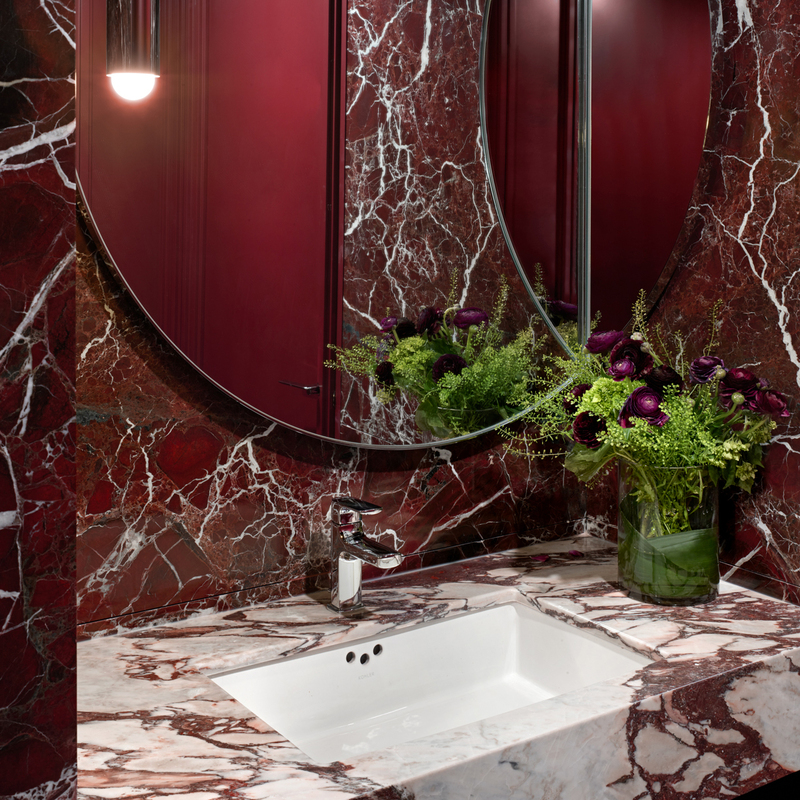 "The dining room drips with sophistication—red velvet benches perch on stunning herringbone marble tile floors, and mirror columns break up the low-ceilinged room." "... a place of art, design, and entertainment. 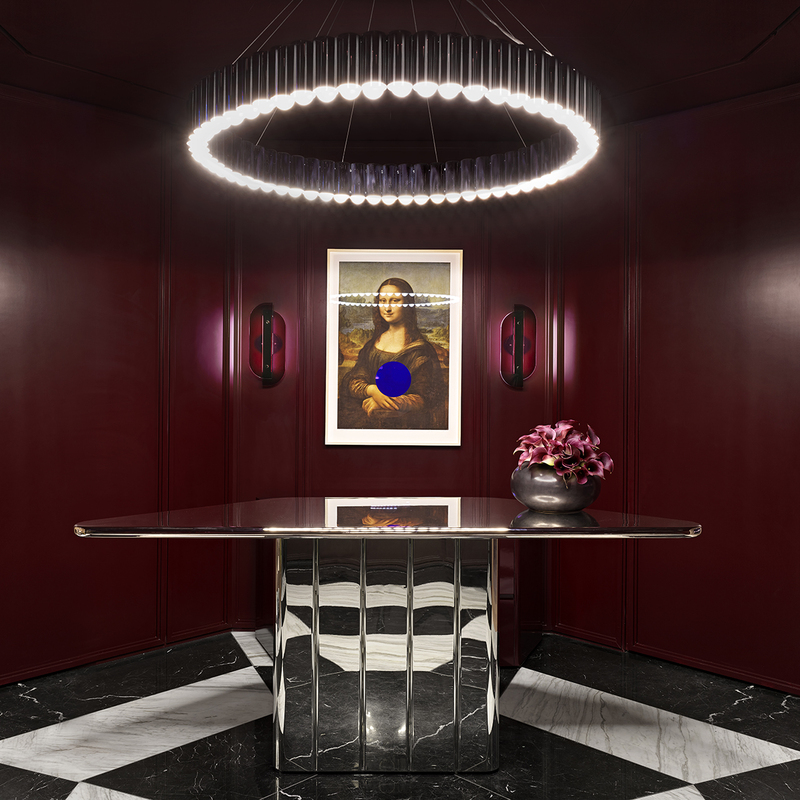 This is reflected in everything from rich, lustrous crimson fabrics throughout thanks to the seasoned touch of award-winning design firm Studio Munge, the David Drebin mural that encases the bar, and other playful, Instagrammable art throughout."